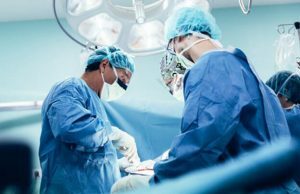 Physicians at Colorado Urology are now treating men living with the symptoms of enlarged prostate, also known as benign prostatic hyperplasia (BPH), with the minimally invasive UroLift® System. UroLift is the first permanent implant to treat BPH symptoms in men who are deemed appropriate candidates. The UroLift System is designed to relieve symptoms caused by an enlarged prostate while preserving sexual function and with fewer side effects experienced by men taking common BPH medications. The UroLift System is an alternative to medications and surgery for the treatment of symptoms associated with enlarged prostate/BPH. This minimally invasive technique lifts or holds the enlarged prostate tissue out of the way so it no longer blocks the urethra, relieving urinary symptoms. Permanent implants are inserted utilizing a special delivery device and act like “window curtain tie-backs,” holding the lobes of the enlarged prostate open to relieve obstruction of the urethra. There is no cutting, heating, or removal of prostate tissue involved. Patients recover from the procedure quickly and return to their normal routines with minimal downtime. More than 500 million aging men worldwide have an enlarged prostate. Medication is often the first line therapy but relief can be inadequate and temporary. Many BPH medications come with unwelcome side effects such as sexual dysfunction, dizziness, and headaches, as well as out of pocket costs for some patients. Surgical procedures to treat enlarged prostate involve using heat, lasers, or scraping the prostate. These surgical procedures can result in permanent side effects such as sexual dysfunction and urinary incontinence. UroLift is a safe and proven first-line treatment alternative to drug therapy or more invasive surgery. Importantly, the UroLift System provides fast and meaningful relief from BPH symptoms, improving the overall quality of life for men living with BPH. Learn more about the UroLift treatment for enlarged prostate/BPH.